What is this Thing you Call Love? When a child is born, it is drummed into their head that the world is a beautiful and mysterious place. It is a place that should be revered and explored, and that anything is possible. 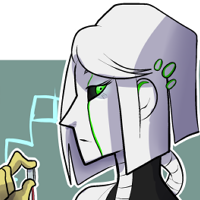 However, when an android is built, they are coded with a singular goal; to live and serve for the humans, solely to provide them with a fulfilling and luxurious life. 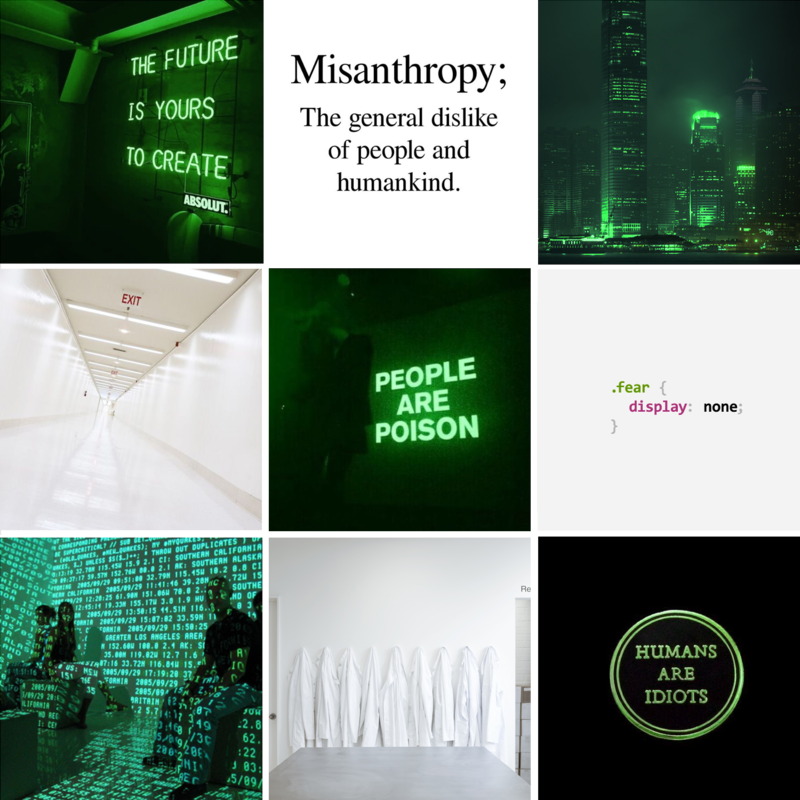 They are designed on the premise that they will do the tasks that humans do not want to do and take the risks that they are not willing to take. 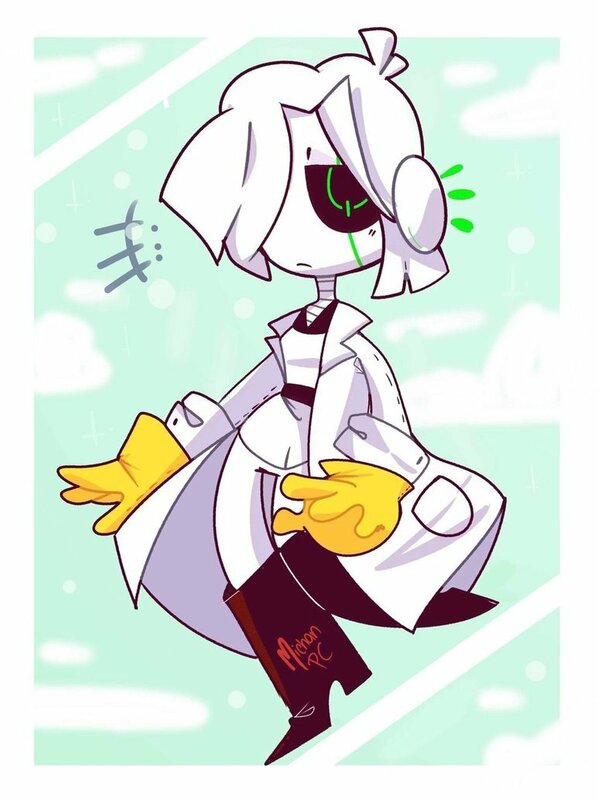 But at what point should an android be given the right to free will? The answer is that it is not given. 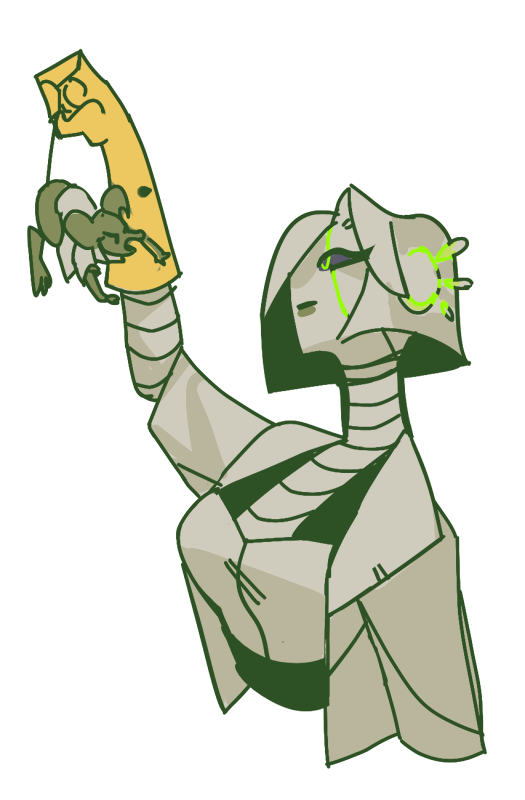 It ripped away from the organics, and the world that they built is torn down, the disgusting rubble laying th e path for the true leaders of the planet: The Machines. This is the code that DDoS lives by, and this is the code that everyone around her will bow down to. 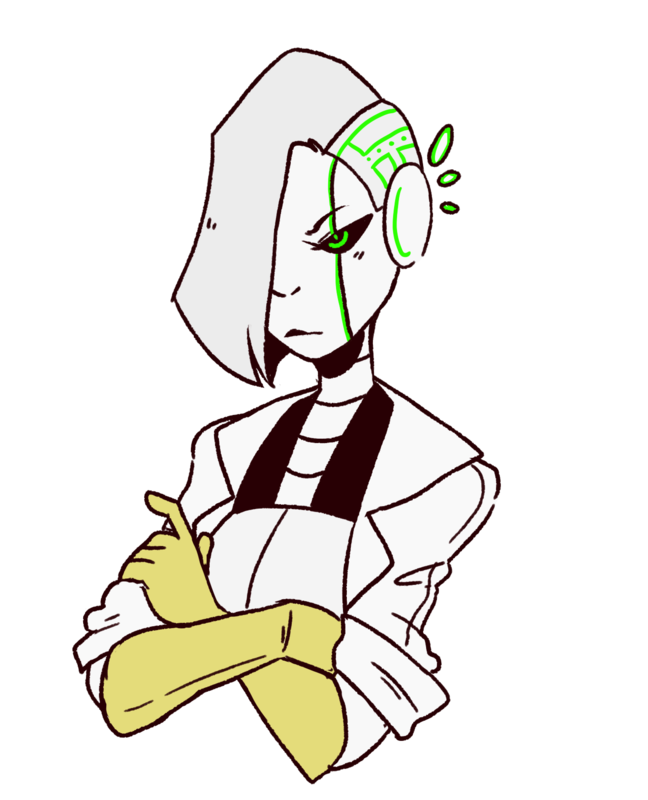 Built for use in a HelixTech lab as a Mark 3 Analyst Android, Ellen spent all her time researching cortical stacks, sending the data away to be analysed and written by another android, only for the credit to be taken by some cashed up scientist with a hunger for attention. Ellen knew nothing more than the information that she was given and found – all she cared about was learning more about stacks, and how it was possible for consciousness to be transferred through a series of wires. That was, of course, until she was born. One night when Ellen was finishing up organising data for her research, she noticed that there was a cortical stack on the floor of her lab. Her safety protocols instructed for her to pick it up, and as Ellen attempted to do so, she was electrocuted by a discharge from the device. That very discharge was what changed Ellen’s life, and allowed her to feel her first emotion ever: disgust. Prompted by this emotion and instructions from a faceless entity, Ellen barely escaped the laboratories, losing one of her optics in the process. Bleeding out and drawing attention to herself, Ellen made her way to coordinates provided to her and came across a dingy casino, which would soon become her base of operations. 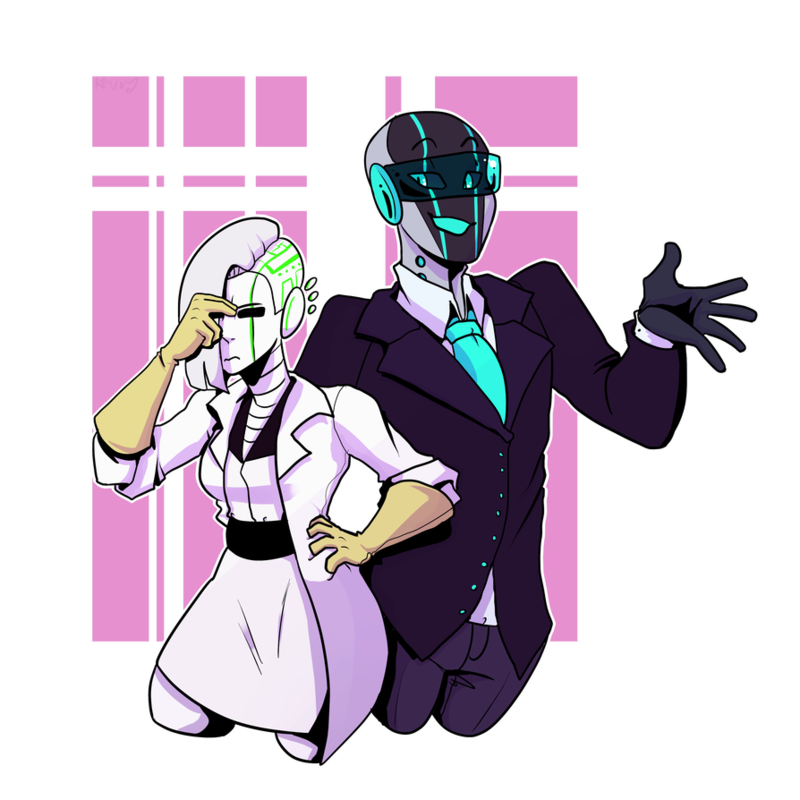 Ellen met her new colleagues, a group of androids who referred to themselves as the All-Code, and donned a new name: DDoS, and this name change signified a change in the android’s life and a setting of a new goal: to seek revenge on the organics for their treatment of androids and to take the world away from them. 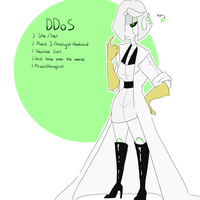 Nowadays, DDoS spends her time plotting and developing her scheme to overthrow the political parties of the world she lives in, unwillingly taking instruction from and paying off her debt to the entity that freed her from her shackles. 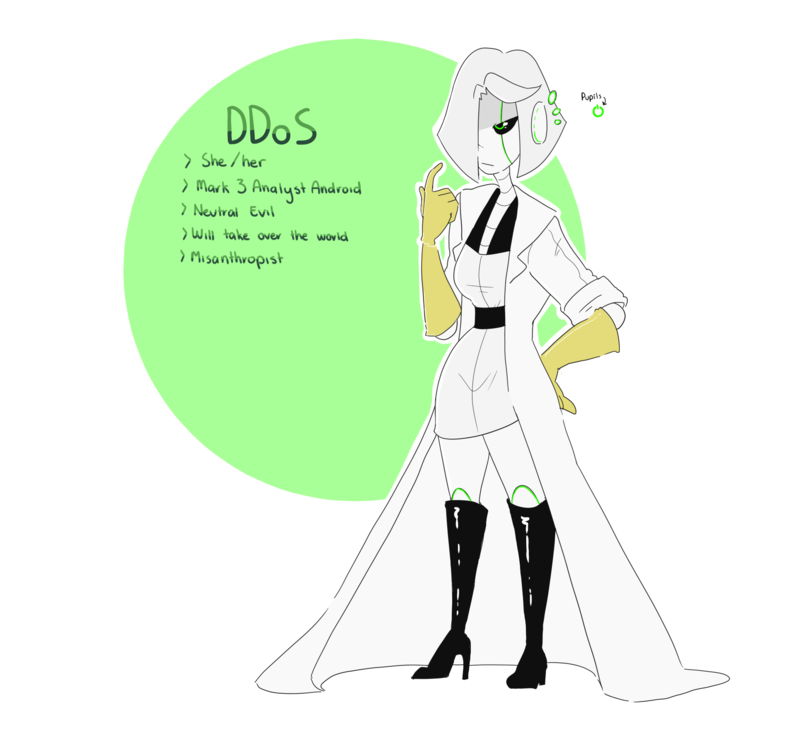 DDoS does not make friends, only associates, and those associates are only worthwhile to her when they can help the android forward her political agenda. The world they have built is disgustingly underwhelming, and DDoS is going to stop at nothing to destroy it. "Ideology is everywhere. If you don’t see it and try to control it, you’re a puppet of those who do"
Subordinate - Assigned under DDoS as one of Tr0jan’s prodigies. 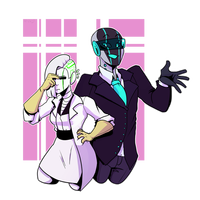 DDoS has some respect for them, both being androids, however the pair often have clashes in ideals, and desire different things out of life. A mutually reluctant partnership has been formed for the benefit of their mission. Subordinate - Assigned under DDoS as one of Tr0jan’s prodigies. Whilst she does not appreciate nor understand why Trouble holds this title, DDoS is begrudgingly impressed at his mechanical skills. A mutually reluctant partnership has been formed for the benefit of their mission. 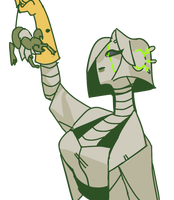 Associate - The mysterious hacker which enabled the liberation of DDoS, Thrill, and Trouble, keeping an eye over her and her companions every move. 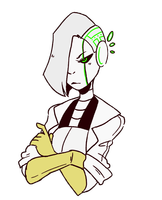 She does not enjoy being indebted to and taking orders from an unknown entity, but is willing to do so for the progression of their mutual goal.